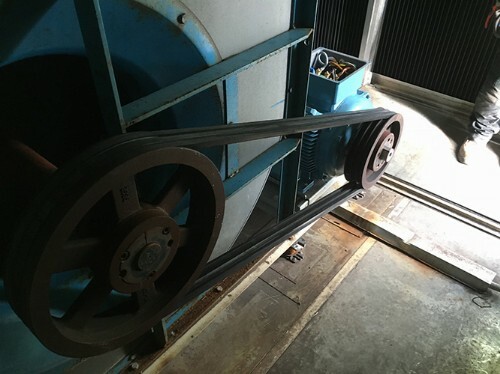 One of our customers in the food and beverage industry had a major failure with an electric motor in one of their air handling units (AHU) onsite – The air handling unit was extremely critical to overall production in the factory. Additional damage had been caused due to the failure in the electric motor and as such it had damaged the variable speed drive which controlled the AHU. The drive-in question was beyond economical repair and as such also needed to be replaced. JJ Loughran had a new ABB 37KW IE3 Electric motor in stock along with a Danfoss Drive – Vacon 100 -3L-0072-5, which we had to urgently installed to get the customer operational. As we where retrofitting the drive from a different manufacture JJ Loughran had to work closely with the plant operators in the testing, set up & commissioning of the new drive. To ensure all parameters and setting were optimised. 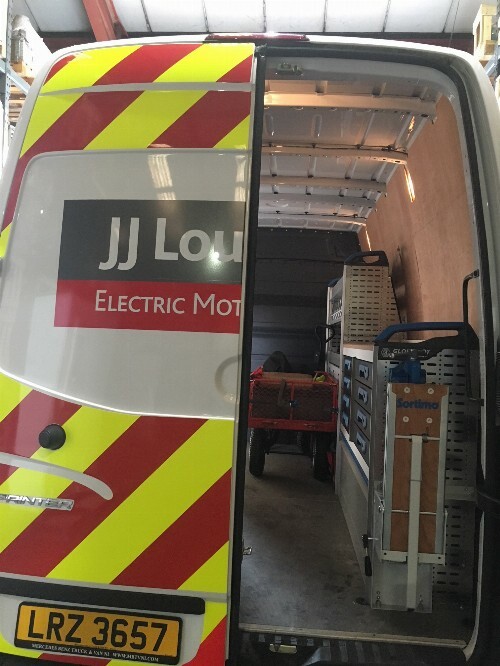 JJ Loughran utilised one of our new service vehicles and a two-man engineering team onsite, consisting of one electrical and one mechanical engineer. Our new service vehicles are fully equipped with a wide range of electrical and mechanical tools (along with relevant safety equipment) and allow JJ Loughran to bring our engineering workshop to the customer – helping to increase the level of support, organisation and service onsite and therefore minimising customer downtime. JJ Loughran had to utilise a crane to get the motor into position, as the air handling unit was roof mounted in the factory. From initial contact to getting the unit back into operation JJ Loughran carried out the works in under 6 Hours. JJ Loughran team of engineers have extensive experience in air handling units & HVAC (Heating, ventilation, and air conditioning) repairs and overhauls. We have carried out works for numerous industry sectors in Ireland & the UK including, Data Centres, Pharmaceutical, Food & Beverage, Oil & Gas, Water & Waste Water Treatment, Mining and Hospitality. As an ABB Motor Service Partner, Danfoss Drives Partner and a Distributor of Ziehl Abeggs Fans and equipment, we have unrivalled stock and extensive product offerings to support AHU equipment and the wider HVAC industry.